Budgam, Sep10 (KNS): Chairman PDF and MLA Khansahib Hakeem Mohammad Yaseen has expressed serious concern over the slow pace on various tourism related development works at picturesque tourist destinations of Doodhpathri and Tossamaidan in Budgam district. Speaking at an officers and engineers meeting held at Doodhpathri to review the status of various tourism related development projects, Hakeem Yaseen regretted that these wonderful tourist destinations, though being nearest to the Sheikh-ul-Alam International Airport have been neglected in terms of tourism infrastructure development, merely on political considerations. 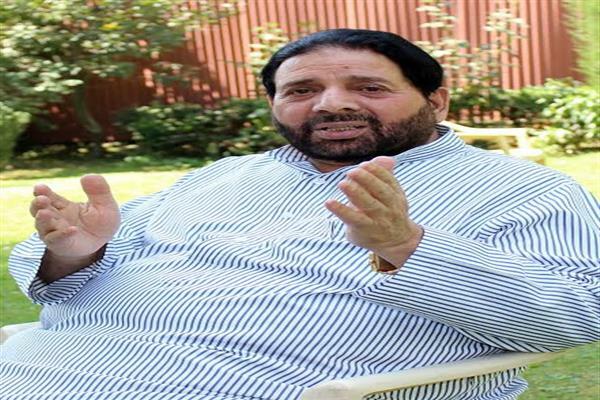 According to the statement issued to KNS, he urged the Governor S P Malik to take personal interest to develop Doodhpathri to its full potential. He has urged for release of adequate funds for completion of ongoing development works in Doodhpathri in a time bound manner. "There is total lack of sanitation at Doodhpathri, with the result visitors do face tremendous inconvenience due to non availability of adequate Laboratory blocks,” Yaseen regretted adding that under construction 20 room hotel complex too have been left incomplete forcing visitors to flee the place before the onset of evenings hours. He said inadequate power supply has further added to the woes of visitors who wanted to have night stay at Doodhpathri but cannot due to non availability of proper lighting system. He said tourism department has miserably failed to construct a cafeteria for tourists and visitors at Doodhpathri. Hakeem Yaseen said that despite preparation of a comprehensive DPRs for construction of Gandola and Golf Courses at Doodhpathri about 3years earlier, no concrete measures are in sight till date. He said the Doodhpathri Development Authority has been left without required staff from last many years, with no CEO and executive engineer on permanent basis to oversee execution of various envisaged tourism projects. Yaseen regretted that this most beautiful tourist destination, having a varied tourism potential, has been made the ‘victim of political vendetta’. "Same was the case of Tossamaidan where no action has been taken to provide road connectivity for convenience of the visitors,” he said. Hakeem Yaseen has invited Governor to visit Doodhpathri himself to have a feel of its natural beauty.